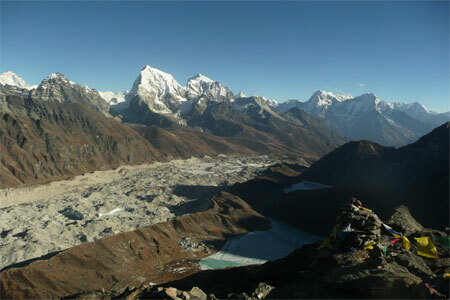 Gokyo Renjo La Pass trekking is also linked up along with the Everest base camp trekking. 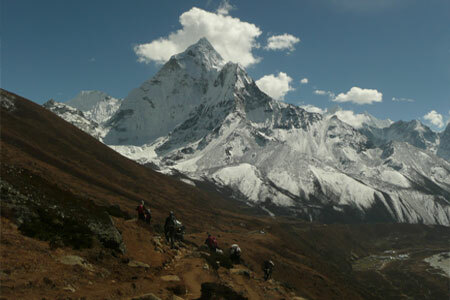 The trekking route passes through Lukla-Namche Bazaar - Everest Base Camp - Chola pass - Gokyo Lake - Renjo la - Thame village the heart land of Sherpa ethic community. 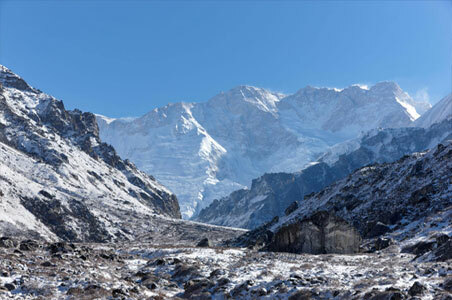 This is considered to be one of the adventurous trekking among the trekking routes in Nepal and one of the most frequently visited trekking route among the tourists who come across with the Advent Himalayan Treks. 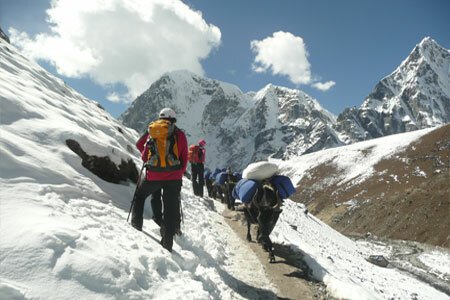 One of the attractions of the Gokyo, Renjo La pass trekking is that the tourists can explore the culture, tradition and lifestyle of the world known Sherpa ethnic community. Besides that one can have breath taking views of Mt. 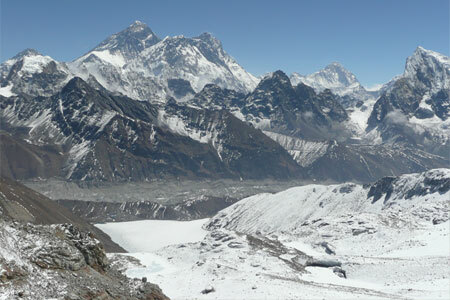 Everest 8848m and several mountains like Lhotse (8516m), Nuptse (7864m), Cho-Oyu (8201m), Makalu (8485m), Amadablam (6814m), Thamserku (6608m), Pumori (7165m) among others with the ice fall. 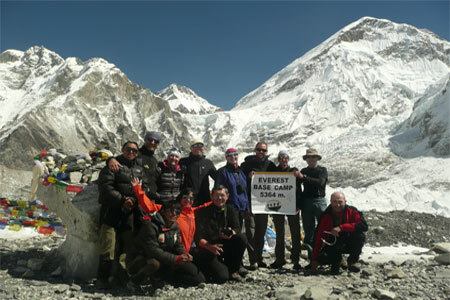 Gokyo Renju La Pass Trekking We have direct flight from Kathmandu to the Lukla by airstrip for about 30 minutes and take a walk for four hours and reach at Phakding and rest for a night. Next day, we head to Namchhe. 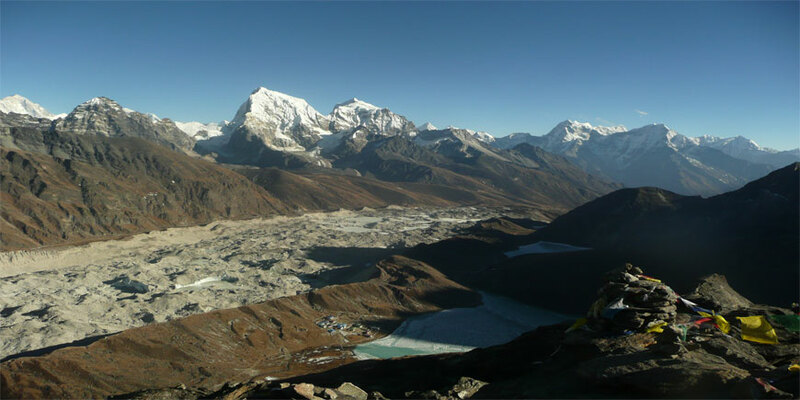 We take some days for acclimatization at Namche Bazar and we head on to Phortse Thanga, similarly make trip to Dole, Mechhermo, Gokyo Lake (Gokyo Ri 5483m) and Renjo pass. 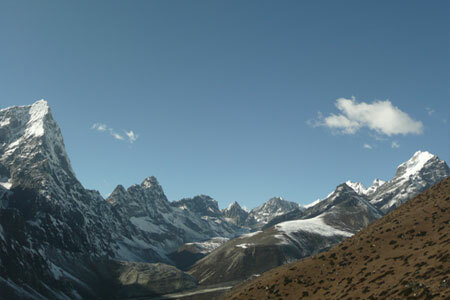 Finally we reach at Thame valley via Renjo Pass (5340 m). Subsequently, we have trip to Langden, Maralung and Thame then we return to Namche and at last we descend to Lukla and fly return to Kathmandu by airstrip.